The WF-10 WiFi Streamer allows Dino-Lite USB models to be used wirelessly in connection with an iOS (iPhone/iPad) or Android app on any tablet, smartphone, or computer. 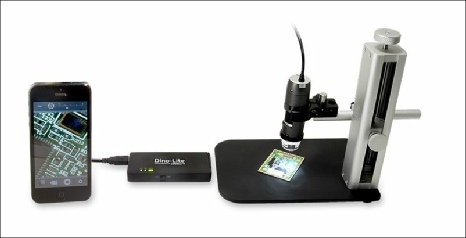 The WiFi Streamer is ideal for field work or presentations. The WF-10 WiFi Streamer allows Dino-Lite USB models to be used wirelessly in connection with an iOS (iPhone/iPad) or Android app on any tablet, smartphone, or computer. The WiFi Streamer is ideal for field work or presentations. 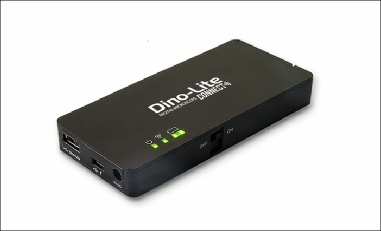 Stream from one Dino-Lite to multiple devices. 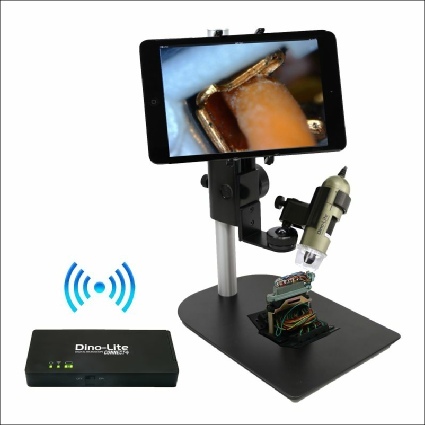 The WF-10 has a replaceable battery and can be used anywhere to create a WiFi signal for streaming the Dino-Lite live images.